Set in Singapore, Indonesia, Malaysia, and the United States, The Malacca Conspiracy is a bone-chilling tale of terrorism on the high seas, of political assassination and nuclear brinkmanship. And for Zack and Diane—your favorite JAG characters from Don Brown’s popular Navy Justice Series—a story of hope for a longstanding romance that is now or never. When a dastardly plot is hatched in the Malaysian seaport of Malacca to attack civilian oil tankers at sea, to drive up the price of crude oil futures, and to assassinate the Indonesian president and use fat windfall profits to finance a nuclear attack against American cities, Navy JAG officers Zack Brewer and Diane Cocernian reunite in a sizzling race against the clock to foil the conspiracy before disaster strikes. But as President Mack Williams sends ships of the U.S. Seventh Fleet towards the Malacca Straights to reassert control over the sea lanes, will Navy JAG officers Zack Brewer and Diane Colcernian survive this dangerous and final high-stakes drama of life and death? You won’t be able to put this thriller down until you find out. Great book, the type that is right up my alley: suspense, a lot of action, very pro-military and pro-American. This book is not part of Brown's Naval Justice Series, but contains the hero and heroine of those books, Zack Brewer and Diane Cocernian, whose relationship finally gets resolved in this book. This book had a great, but scary plot. There is a takeover of Indonesia by radical Muslims, who then make unreasonable demands on the USA. There is a lot of action going on in different places, and the book bounces around a lot, but it is easy to keep up as the author always states the where and time of what is going on. I started reading this book on Monday when it came in the mail, and also finished it Monday. It was an awesome read, and not only was I pulled into the story by the action and suspense, but also by the realization that the things in the book could happen - a scary, but true fact. This is one of those books where bad things happen, but also good. I have been impressed with all of Don Brown's books. As a former JAG officer, I feel he presents a realistic look at what goes on in the Navy and also in the realm of JAG, yet he keeps a strong Christian element in his book, and there are no bad language issues in his books. His books are probably more something men would enjoy, but any woman who enjoys military action novels will enjoy them. And one last note: although two characters from his series are in this book, and reference is made to previous actions of theirs, this book could be read without reading the series. A very highly recommended book. Don Brown is the author of Treason, Hostage, and Defiance, and Black Sea Affair, a submarine thriller that predicted the 2008 shooting war between Russia and Georgia. Don served five years in the U.S. Navy as an officer in the Judge Advocate General's (JAG) Corps gave him an exceptional vantage point into both the Navy and the inner workings of "inside-the-beltway" as an action officer assigned to the pentagon. He left active duty in 1992 to pursue private practice, but remained on inactive status through 1999, rising to the rank of Lieutenant Commander. He and his family live in North Carolina, where he pursues his passion for penning novels about the Navy. The Malacca Conspiracy is available from Zondervan Publishing. 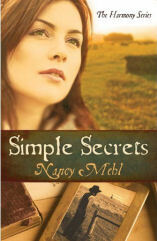 If you would like to read the first chapter of Simple Secrets, go HERE. Karen Kingsbury’s celebrated series that shows the depth, passion and power of marriage. A Time to Dance - John and Abby were the perfect couple with the perfect family. 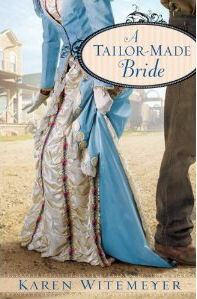 But on the verge of an affair, John is no more the man Abby married than she is the bride of his dreams. So they decide to divorce. But when they gather their children to tell them the news, their daughter announces she’s getting married. Determined not to ruin Nicole's happiness, Abby and John agree to postpone their divorce. But as the wedding nears, they wonder: is it possible to still find joy and perhaps the time…to dance? Though I am a guy, I am a huge fan of Karen Kingsbury's books. Not only can she write an awesome story that will tug at your heart, she takes on issues in her books and addresses them through the medium of fiction. This is one such book. I read this when it first came out, back in 2001, and thoroughly enjoyed it, so I decided to grab it and review it. In this book, Karen really nails the issue of staying in a marriage "for better or for worse". It starts out with the couple, John and Abby, on the brink of a divorce, but due to their daughter's engagement announcement coupled with her spoken desire to have a marriage just like her parents, they decide they cannot announce their intentions at that time. Thus begins weeks of striving to make their marriage work, but along the way, they start to examine what went wrong in their marriage and wonder if it might be able to be fixed after all. I consider this book, and its sequel, to be among Karen's best works. In this day of so many divorcing for the smallest reasons, and couples not trying to work things out - even in the church - it is refreshing to read a book that encourages couples to stick with it, to work out their problems, and stay together, as God intended. A very highly recommended book. Karen has a true love for her readers, and she has nearly 100,000 friends on Facebook along with more than 7,500 followers on Twitter. The popular social networking sites have allowed Karen daily interaction with her reader friends. 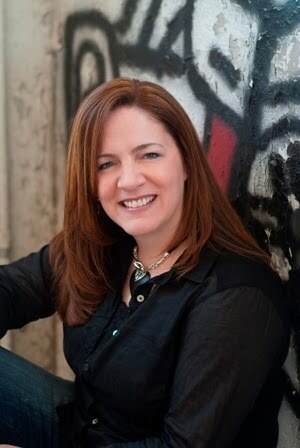 Karen is best known for her Life-Changing Fiction (TM) and for creating unforgettable characters. When speaking before women's groups - some with more than 10,000 in attendance - Karen makes audiences laugh and cry with her compelling story-telling. She likes to tell attendees they have, "One chance to write the story of their lives," and her talk focuses on reminding women to live every day loving well, laughing often, and finding true life in Jesus Christ. Karen routinely speaks before more than 100,000 women each year. A Time to Dance is available from Thomas Nelson Publishers. After a tour of duty in a war-torn country, embattled former Navy SEAL Max Jacobs finds himself discarded and alienated from those he loves as he struggles with war-related PTSD. His wife, Sydney, files a restraining order against him, and a petition for divorce. Max is devastated. Then a mysterious a man appears. He says he’s organizing a group that recycles veterans like Max. It’s a deep-six group known as Nightshade. With the chance to find purpose in life once again, Max is unable to resist the call of duty and signs on. The team handles everything with precision and lethal skill—until they’re called upon to rescue a missionary family, and avoid a reporter hunting their identities. When the team effects the rescue, their paths collide with the reporter—Max’s wife. As they sneak through the rebel-infested jungle something about the missionary couple speaks to Max—and re-awakens the love for his wife. Will Max yield his pride and anger? Can they escape the jungle before it’s too late? I got to read and review Ronie's first book, Dead Reckoning, back in March. (Review here.) It was an awesome read, so I was looking forward to reading more from her, and here it is. Nightshade, the first in a series of four books, The Discarded Heroes Series. This book easily launched into my "read-in-one-sitting" rating. I started reading it last night a little after 9, and finished it around 11:30, pausing only to chat briefly on the phone and use the "little men's room." What a totally awesome read! When an author writes a really great debut novel, you wonder if they can follow up. In addition, no offense to any publishing company, but when the second novel is with a different publisher, at least I have to wonder the same. Well, no worries. She topped her first book. This book isn't necessarily mystery/suspense in the same vein as her first, but there is a lot of action and suspense. Military stuff, special black ops. All that. And since the author was a "military brat", she knows her stuff. So, what did I like about the book? Everything. :-) Definitely the action/suspense. The characters...... she paints a great picture of Max, a soldier who fought for our country, now fighting a different kind of battle - post traumatic syndrome. One that he is losing, one that is destroying him and has already destroyed his marriage. Then there is Sydney, his wife. A reporter who is determined to hunt down a story about this secret special ops group, having no idea her estranged husband is in it. And of course, the rest of the men in Nightshade, the name for this special black ops group of soldiers. There are no curse words in the book, just a few slang, and there is a definite Christian element, as Max battles his personal demons and is forced to realize where he needs to go for help. And in closing, this is one of those books that I just can't say enough good about - a very excellent read, and I am looking forward to more in this series. This is definitely a book that men will enjoy, but also women. So ladies, don't be turned away by talk of soldiers and special ops - you will enjoy the book also. 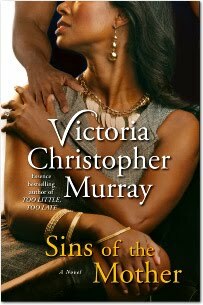 And a side note: I have read similar books written by men, which were great, and I enjoyed them, but this was an easier read, and in my opinion, tops those. "Thank you for taking the time to read more about *moi*. The Christian - All of the other aspects of my life are grounded in my faith. Without the mercy and peace of God, none of the others would have or could have happened. I'm a product of growing in grace, and having the benefits of His healing mercy in my life after a rough childhood. My heart goes out to those who are hurting and searching. You are my reason for writing (besides obeying God's will LOL). I've been there. I've been through grief, abuse, and then faced the difficult journey of restoration and reconciliation. and those decisions will decide whether I am honoring Him with my life or not. Now, that doesn't mean I'm infallible. Ask my husband. But I try. The Wife - I've been married since 1990 to a man who can easily be defined in classic terms as a hero. No kidding. He's just that amazing.Brian graduated from his seventeen-year track plan in college with a 4.0. Now he's aiming for the FBI. Go, dude! My husband helps me in my writing by reading the chapters for military/tactical authenticity, and he's the one I go to for political and historical content review. Brian is also the one who helps me flesh out stronger plot points. I definitely could NOT do this without him and his belief in me! I know if I can get my story past Brian, then I can (most likely) get it past my agent. The Mother - Okay, so maybe I did these personalities out of order--but with four kids, chaos like that just sort of happens. :-D I have four beautiful children. My eldest daughter will be 15 this year, my second daughter will be 12, and my twin boys are 8. I've been blessed and challenged to no end with my children. My twins have tendencies toward Asperger's Syndrome, and one has been diagnosed with ADHD. I grew up. Got serious about writing, and man! Writing got hard. But I love writing more now than I ever have. Part of becoming a better writer involved joining the American Christian Fiction Writers. 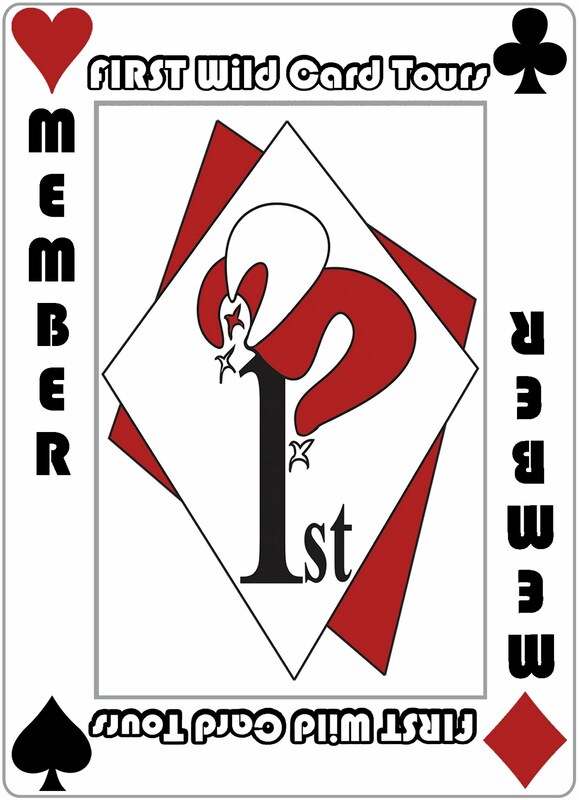 and consider becoming a member if you are a writer. 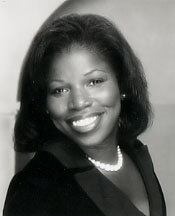 In February 2007, I signed with my "dream" agent (miracles can and DO happen! ), Steve Laube. The Student - Ever met one of those amazing people who aced college in like two-point-five years? Me neither. And you won't meet that person here. I took the seventeen-year track (oops!). After having four children, I finally finished my degree in December 2006. I now have a B.S. in Psychology through Liberty University in Lynchburg, VA. Getting my degree is a huge triumph for both me and my family--we survived!! This degree has also given me a fabulous perspective on my characters and how to not only make them deeper, stronger, but to make them realistic and know how they'll respond to each situation." Check out her website. It is rather intriguing, and has bullet holes to click to get around. Cool. :-) And there is more info about The Discarded Heroes Series, so check that out. Ronie has graciously agreed to give away and autographed copy of her book, Nightshade, to one lucky person. Comment on this post and to make it a bit more interesting than just "enter me", tell if you have a loved one in the military - and if you entered the military, what branch would it be. I will draw a winner 10 days from today on July 1. The author will mail the book out to the winning person. Thanks to Barbour Books for the review copy, and thanks to Ronie Kendig for writing such a great story and for doing the giveaway. Buying a Christian book - whose fault is it? Some of the places I review for ask for a review to also be put on a site that sells books. i.e. Amazon. As I have done this, I have run across an interesting phenomenon: people who either bought a Christian fiction book, or downloaded one - usually for free - and didn't realize it was a Christian book. Some of these people leave a nasty and negative review, and harp about the fact that Amazon should have been more plain about the fact that it was a Christian book. Here is my opinion - yeah, I have one. Big shock? :-) If I were buying a book - or downloading it for free, and was not familiar with the author, I would research them. 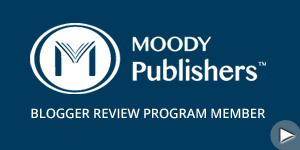 Find out more about them, what kind of reviews their books got. And surely by doing so, you would discover that fact. So, I think it is the fault of the reader for not finding out more about the book/author. What do you think? Should Amazon do a better job of labeling Christian fiction, or is it the fault of the person buying the book. And does it give the person the right to post a negative review because they got a Christian book? From Monte Carlo to Morocco to Egypt and into Petra, Marwan Accad is pursued by authorities for murders he did not commit. Tracked by advanced intelligence-surveillance technology, his every location is eventually found out, thrusting those he loves into danger. Nurtured by a bitter past that equipped him with what he needed for his company to thrive, Marwan Accad never looks back. Yet the way forward promises only uncertainty, and living each day is a lie in which corruption and greed play in the lives of man. For whose lie is he going through all of this? Even as Marwan races against time to find his pursuers and their motives, he must grapple with what is beyond his life, with what is eternal. 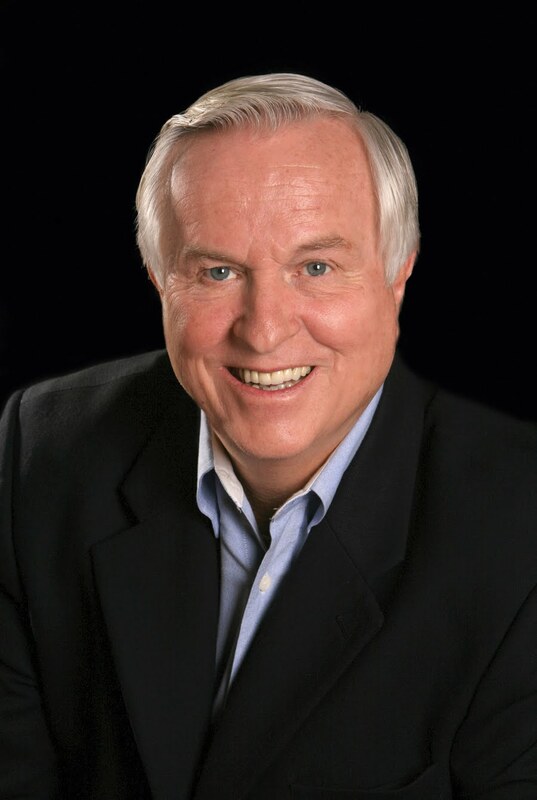 Josh McDowell has written mostly non-fiction books, with just a few fiction novels under his belt. This, I believe his third fiction novel, is by far his best, in my opinion. The book doesn't take long to launch into the action. It starts off with a murder/attack, and just keeps getting more intense with the suspense and action. It is definitely one of the "read-in-one-sitting" novels, and so I did read it in one sitting, and thoroughly enjoyed the book. The main character is not a Christian and leads quite a violent and wild life. 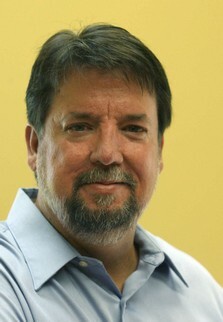 McDowell uses conversations between he and others to put some of what he is best known for into the book - apologetics. And what better way to do it than in a story. I loved the book. As I read it, I was drawn more and more into the story, and felt sympathy for the hero of the story, framed for murders he did not commit, and running for his life. Though he engaged in some sinful activities, the author does not give the idea that he approves of the activities, but instead gives the idea of what a life without Christ can be like. The book is very fast-paced, and takes the reader all over the globe. I highly recommend the book to anyone who enjoys a good suspense/action novel. Josh continues to travel throughout the United States and countries around the world, helping young people and adults bolster their faith and scriptural beliefs. Josh will tell you that his family does not come before his ministry—his family is his ministry. He and his wife, Dottie, have four children and three grandchildren. Thanks to Tyndale for the review copy, which was given to me for the purpose of reviewing. A guy whose blog I follow did a great post that goes along great with some I have done in the last few months - Rediscovering a Hurting Church. Check it out. 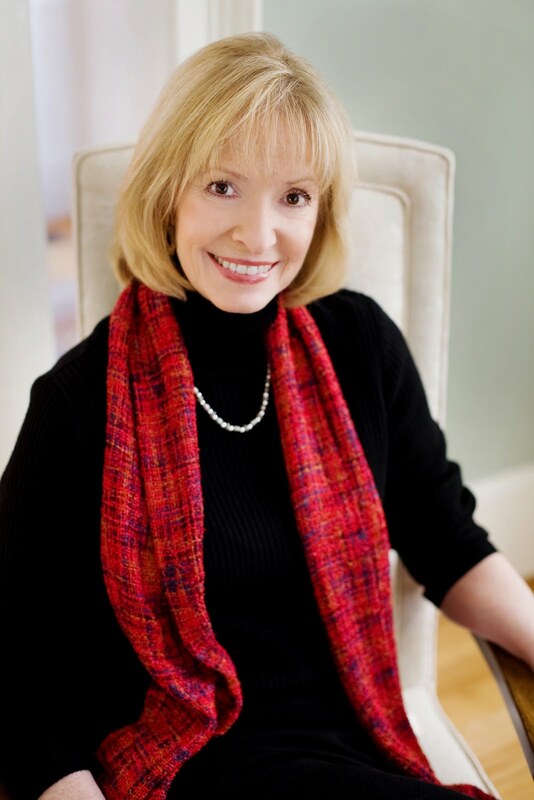 Sue Duffy is an award-winning writer whose work has appeared in Moody magazine, The Presbyterian Journal, Sunday Digest, and The Christian Reader. 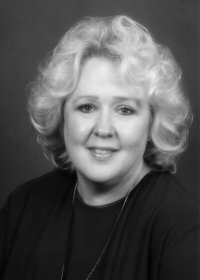 Her first novel Mortal Wounds was published in 2001 and she has also contributed to Stories for a Woman’s Heart (Multnomah). She and her husband, Mike, have three grown children. In an instant, his world collapsed, and no one knew it but him. The giddy chatter of students rushing to and from the cafeteria swirled about him as he felt blindly for something to lean against. Eyes locked on the overhead television screen, Evan Markham backed slowly toward a post in the crowded student union. Just moments ago, he’d been one of them, a Florida State student preparing for exams and the long-awaited summer break. But what he’d just heard ended it all. He had only glanced at the News at Noon anchorwoman with the glossy lips as he hurried to class. He caught something about a shootout in Tampa, but kept going. As he reached the door, though, he heard a name that stopped him cold. Evan turned suddenly and stared at the screen as the woman switched the broadcast to an on-the-scene reporter. A cold sweat sprang from his brow as he moved quickly toward others gathering before the monitor. Steadying himself against the post, Evan turned to see if anyone was watching him. How could they know? No one knows. Then another name caught him. Two hours later, Evan was packed and ready to leave. For where, he didn’t yet know. He’d removed all his belongings from the apartment and left a note for his roommate, whom he hardly knew. He hadn’t allowed himself to get close to many people, switching roommates often during the three years he’d been enrolled. Still, the guy deserved an apology for the sudden departure. Evan returned to the student union to close his checking account and put a hold on his mail, evading inquiries about why he would do so before final exams. As he left the building, he saw her. As usual, she didn’t notice him. Andie Ryborg seemed as absorbed in a private world as he was. Only hers hadn’t just ended in a gunfight. One last time, he hung back and watched her. Dark hair fell loosely about her face as she sketched beneath a tree, focused on the gurgling fountain in the center of the green. They’ll find you. Get away! Christian suspense/mystery - my very favorite genre' to read - and this was a good one. 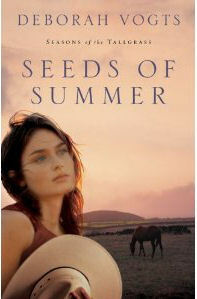 Sue Duffy was a new author for me, and I am impressed - enough that I'm going to try to find her other book she wrote. What did I like about the book? Everything. Had an excellent plot, with a few surprises along the way. No one was as they appeared, which made the book all the more interesting. The characters... loved them - especially Evan - I can't say why, as that would be giving "spoilers". The suspense and action - awesome. I have read books more suspenseful, but this was just right. And it was one of those "read in one sitting" books I talk about - I did read it in one sitting - allowing for bathroom breaks, drink of water - etc. What else did I like? The language. It is completely possible to write an excellent suspense/mystery novel without throwing in inappropriate language - and this author shows it is possible. Kregel is not one of the major producers of Christian fiction, but they have put some excellent ones out lately - and this stands among the best. A highly recommended read. If you're not familiar with the term, it is someone who preaches firey messages full of what will happen to people if they don't go to the altar, usually ending with a long altar call and scary stories about people who stood through similar altar calls and did not go, only to be hit by a bus and killed upon exiting the church. Ok, that last part was exaggeration, but you get the point. I've admitted it before..... I have struggled as far back as I can rememeber, to truly believe that God loves me. Many have been the times that I thought that I did, but then I'd have the rug pulled out from under me, and the doubts would come flooding in again. "If God loved me then why......" - and so forth. There are several factors that have played into this issue, and I was thinking about this one, so I decided to blog about it and see if anyone wants to comment about it. I think one factor is being "scared" into going to the altar so much as a teenager/young adult. Young people are often up and down a lot spiritually - struggling with becoming an adult, and having struggles wih varying issues. So in that regard, I was a typical teenager growing up in an evangelical church. One month doing all I knew to do to live as a Christian, and the next having stumbled and fallen - and giving up. And then would come revival services or campmeetings. The preacher would preach a stirring message on hell or something along that line, and as I said before, end with a long altar call complete with the "scary story" about someone who didn't go to the altar on one such occasion, and the next day, or later that week or month - was killed in a tragic accident. Or even better..... make the announcement that for someone sitting in this very service, it would be their last oppurtunity to get right with God. So, time after time being in that kind of servce, knowing I wasn't where I needed to be, I would be scared into going to the altar. Looking back, I wonder how many times I actually went because I felt conviced by God, and how many times I went because of emotion - the emotion of fear. Emotions are strong - and arousing fear in someone can get them to do a lot of things - like going to the altar. The argument could be made that if sinners go to the altar, it shouldn't matter what methods are used to get them there - and there may be some truth to that. But...... if people are scared into going to the altar, and don't go because they want to, and out of a desire to do what is right - are they going to actually become a Christian - and live a Christian life? I know in my case, I usually "fell off the wagon" the next day, week, or month. And I saw people who were outright sinners be scared or talked into going to the altar - and so many of them didn't last. The experience they got at the altar was simply a band-aid, put on because they were scared into going to the altar. But.... does it do any good to scare people to the altar? And when they are scared into going to the altar, will they truly get the salvation experience, and will they last? And.... is there a danger of giving people the wrong view of God - that He is a vengeful and hateful God just waiting to cast people into hell? The opposite view can also be damaging.... to so portray God as love that the view of a God of wrath is not shown, and people view Him as a loving doting grandfather - so a balance is needed. No sooner has Shawn Collins returned home from the fighting in Europe than he is called upon to serve his country in another way--as a speaker on the war bond tour. While other men might jump at the chance to travel around the country with attractive Hollywood starlets, Shawn just wants to stay home with his son Patrick and his aging father, and grieve the loss of his wife in private. When Shawn asks Katherine Townsend to be Patrick's nanny while he's on the road, he has no idea how this decision will impact his life. Could it be the key to his future happiness and the mending of his heart? Or will the war once again threaten his chances for a new start? Dan Walsh does not disappoint in this tender story of family ties and the healing of a broken heart. This book is a sequel to Walsh's first book, The Unifinished Gift, a Christmas novel, and possibly the best Christmas novel I have ever read. This book, The Homecoming, takes up where the first book left off, and though it is an excellent read, I did like the first better, but I am parital to Christmas books. Walsh takes a page from Karen Kingsbury, who is known for righting an emotional story that grips your heart and makes you a bit misty-eyed, or outright cry. In this book, the widowed father has come back from the military and wants time to grive and spend time with his little boy, but the US military has other ideas. Walsh does a great job portraying the anguish of a father wanting to stay with his little boy, but duty-bound to obey his superiors. There is some military action in the book - World War II is going on - which adds to the book and made it even more interesting and enjoyable. Also some romance. I had one disappointment with the book. I do not partake of alcoholic beverages, and don't believe Christians should - I've heard all of the arguments, and I'm not out to argue about it in a book review - but when there are still a lot of Christians who feel the same way, I do wish authors would leave the consumption of alcohol by Christians out of their books - but that is my only gripe with the book. It is an excellent read, and Dan Walsh has a running head start to being an accomplished author in the Christian fiction market. I look forward to reading more from him in the future. Dan Walsh is the author of The Unfinished Gift and a member of American Christian Fiction Writers. He is a pastor and lives with his family in the Daytona Beach area, where he's busy researching and writing his next novel. 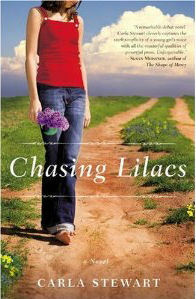 Available June 2010 at your favorite bookseller from Revell, a division of Baker Publishing Group. Updated - I made a video of the song - nothing exciting video-wise, just used the album cover, but now you can listen to the song. 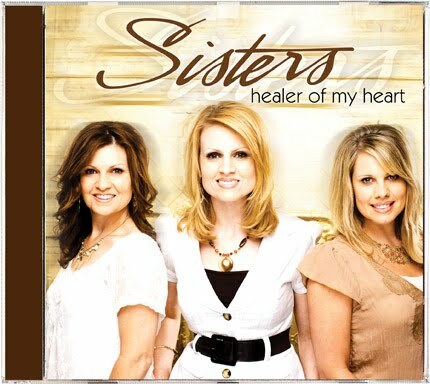 A new song I really like on a CD by the Southern Gospel group called "Sisters" - and yes, the three women are sisters. Unfortunately, there is no video of the song on line anywhere, but you can preview the song on the album, Healer of My Heart on their website, here. I did not read this book. I leafed through it, and wasn't impressed by the content - it wasn't extremely bad, but didn't look like something I wanted to read, and does not fall into the class of Christian fiction, so I am just posting the info FIRST blog tours has given to put on my blog. 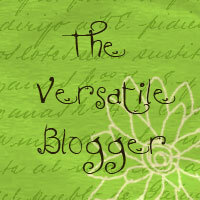 I won The Versatile Blogger award yesterday, thank you to Annette at A Well-Watered Garden. Due to an extreme lack of desire to blog, read, and many other things, I have not gotten around to doing my part. 2) I play the piano, but due to selling my electric piano, rarely do anymore. 4) Southern Gospel music is my favorite genre' of music, with my favorite groups being The Booth Brothers, The Talley Trio, Gaither Vocal Band, Jeff and Sheri Easter, Sisters, The Hoppers, and Ernie Haase and Signature Sound. 5) I always wanted a brother, but do love the two sisters I have. Molly does book reviews and book giveaways at her blog, Reviews by Buuklvr81. 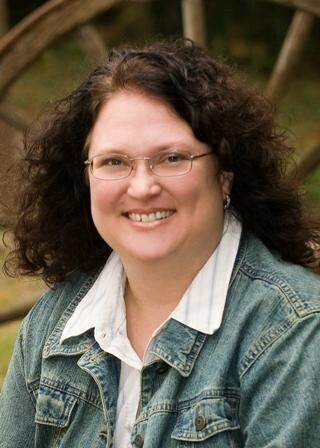 Lena Nelson Dooley, an author, does book reviews with giveaways on her blog, A Christian Writer's World. Winning Readings is a great blog - she posts links to giveaways on other people's blogs, and has helped me out with that several times. And another Annette at Live, Learn, Love. I ran across a blog recently by a 16-year old young man who seems wise beyond his years. And the kid has over 200 followers. Check out Joshua's blog at While I'm Waiting. Relz Reviews is a great book review blog I follow. My friend, Kim Matlock has an interesting blog. She also has a homeschooling blog that if you ask nicely, she may invite you to. International Christian Fiction Writers is a blog run by several authors spread out over the world - an interesting and informative blog to read. Dad's Bible: The Father's Plan is the perfect gift for fathers, fathers-to-be, and father figures of any age. The Dad's Bible is filled with challenging and helpful information designed to encourage and uplift fathers whose lives will be a priceless legacy for generations to come. Whether as a personal purchase, a Father's Day gift, or "just because," Dad's Bible is sure to draw the reader into quality personal time with our Heavenly Father. I'm not a dad, but decided to review this Bible anyway. This Bible is the New Century Version, which I wasn't crazy about. It isn't a bad version, but I much prefer the New King James and the New Living Translation. The pages of this Bible are made to look like the pages of an old book, which gives it a neat look. There are several pages of notes geared for fathers - how they should live, and notes pertaining to raising kids - which are very insightful. This Bible would make a great gift for a father for Father's Day. Robert Wolgemuth did the notes for the Bible, and he did a great job. Even though I have no kids, I could see that this Bible could be a great tool and help to fathers. If you are not very familiar with him, you will not know this. I am familiar with him, and I do know this: for some years, he wrote secular Westerns under other names. He wrote some of the Stagecoach books among others. I read a series by him called "The Badge" series - Westerns about lawmen of the old West - really good books. For the most part, they were curse free, though a few of them did have some - and that, my friends is why Al Lacy quit writing on the secular market. He would turn in his manuscripts, curse-free - and they would come out on the market with curse words in. One of the worst in the Badge series, according to him, was one of the latter titles. I don't remember much about it, but I do remember hell being used as a curse word and the "d" word - both of which are in some Christian novels I have read. I have always been impressed with him for his stand - its a pretty big thing to write for the secular market, and to turn from that to the smaller Christian market, with no guarantee of success - all because he wanted to write books without cursing in them. Too bad all of the authors in the Christian market don't have that depth of Christian integrity in them - no, some of them are adding them - and defending their use. So WWALD? If his Christian publisher started slipping curse words in his books - what would he do? I would wager a guess that he would change publishers - and I would also wager that he will never add them on his own. So, Mr. Al Lacy - my hat is off to you, and you have my admiration for your depth of Christian integrity. Great job. This wasn't quite as suspenseful in the scary meaning of the word, as some of Brandilyn's other books, but it was an excellent book and an enjoyable read. It was written in both first person and third person, bouncing back and forth in a style that was easy to read and keep track of what was going on. I found the idea of a "skip tracer" interesting. I had never heard of such a thing until I read this book, so it was cool to learn something new there. 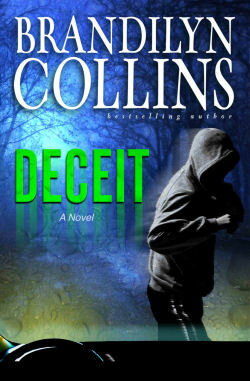 As usual, Collins wove a fascinatting and suspenseful tale, with believeable and likeable characters. I also liked the cover of the book. It really drew me to the book. I was glad I had the opportunity to review this latest book by Collins. I was not disappointed. And she is an author who can spin a scary, suspenseful story, and keep it Christian, and with no cursing, and my hat is always off to authors who do that.